Holger Meyer completed his legal education at the Christian-Albrechts University Kiel. During his post graduate legal training (Referendariat) he worked amongst others in Kiel, Frankfurt / Main and Washington D.C. In 2003, he graduated as a doctor of law (Dr. iur) with a doctoral thesis in which he dealt with specific problems of the transfer of undertakings-legislation in Germany and Europe. He was appointed as a Certified Lawyer for German Employment and Labour Law in 2004. 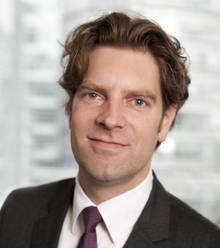 Holger Meyer worked from 2001 until 2010 as a lawyer in the employment, pensions and benefits practice group of the leading international law firm White & Case LLP in Hamburg, where he was appointed as a Local Partner in 2006. In 2010 he became a founding and active partner in the law firm SCHRAMM MEYER KUHNKE. Holger holds lectures and publishes in professional journals on employment law topics regularly. Holger Meyer is recommended as a leading German employment and business lawyer since many years in numerous rankings, e.g. JUVE handbook ("proven in restructurings", "high level of professional expertise" - handbook 2016/2017), Handelsblatt / Best Lawyers, Lawyer Monthly ("Labour & Employment Lawyer of the Year - Germany 2013"), Legal 500. Holger Meyer advises international and national companies in all aspects of individual and collective employment law. One of his main areas of practice is the legal and strategic preparation of restructuring and outsourcing projects as well as carrying out related negotiations of collective bargaining agreements, the reconciliation of interests and social compensation plans with labour unions and works councils, and the conclusion of transfer agreements. Furthermore, he advises clients on labour law issues in connection with the sale of companies (or parts of companies), amongst others in crisis or insolvency and in connection with the privatization of public institutions. Holger Meyer advises in German and English.